As promised! Here is the new piece. I made this a few weeks back but with the stress of exams and limited time between study, rest and rare moments I get with my bf I just had no time to post it =( Until now! =) I haven't named this piece yet. 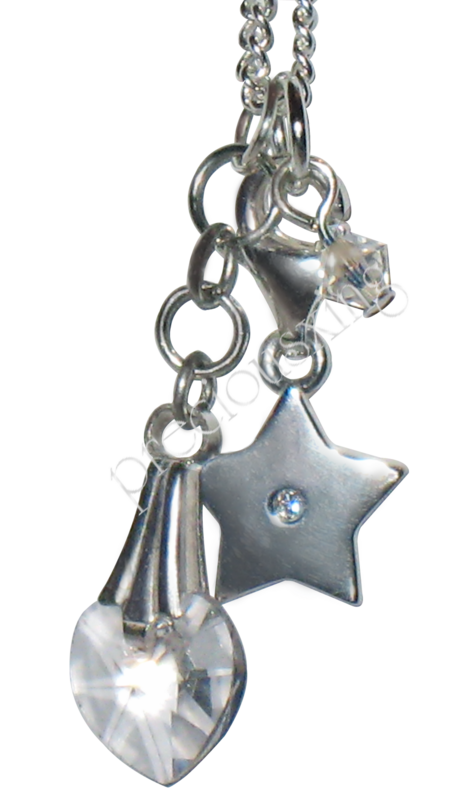 This one means alot to me personally as the gorgeous star charm was a present from my boyfriend. I love stars =) And I love shiny things, so obviously a shiny star with a super pretty stone in the middle is right up my alley! There's also a Swarovski crystal heart and bicone on a silver chain. Simple but I love it. pretty, i wish there were more pictures of your creations! I love it its really pretty. How about the love star for a name? @nicoletta Thank you so much! Oh I do like that! hey thank you very much ^_^ for the sweet comment!! ^_^ If it was for me, i'll name the necklace "Precious Luck"!